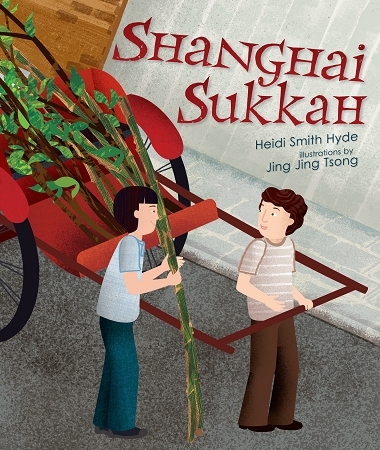 "Tsong uses lithographs to create a layered, textured look, employing dark, drab hues to depict the poverty-stricken tenement district and vivid greens and red-orange tones for the sukkah and its lanterns . . . themes of friendship and respect across cultures are compelling."